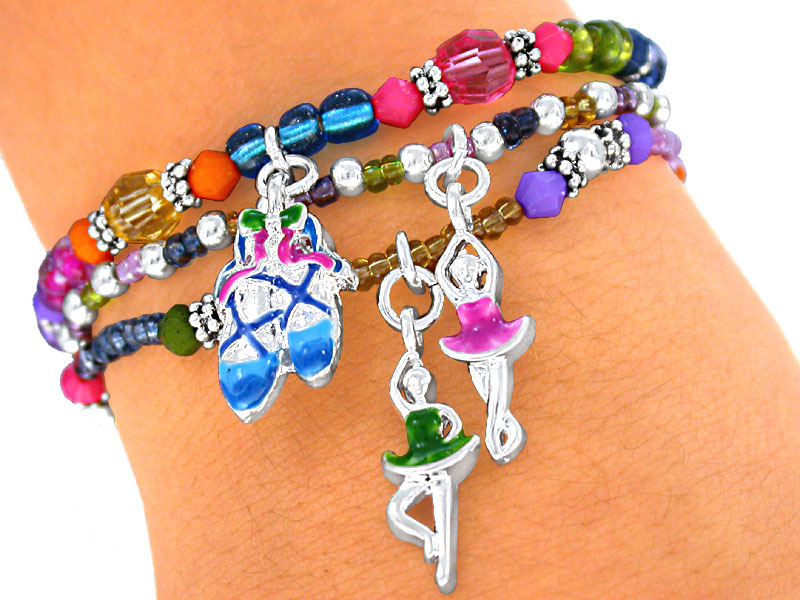 Three "Lead Free" Multicolor Faceted Bead Children's Stretch Bracelets Tied Together With A Sheer Pink Ribbon. Each Bracelet Suspends A Pair Of Ballet Slippers Or A Dancing Ballerina. Due To Supplies, This Item Is Only Available In Pink!! !